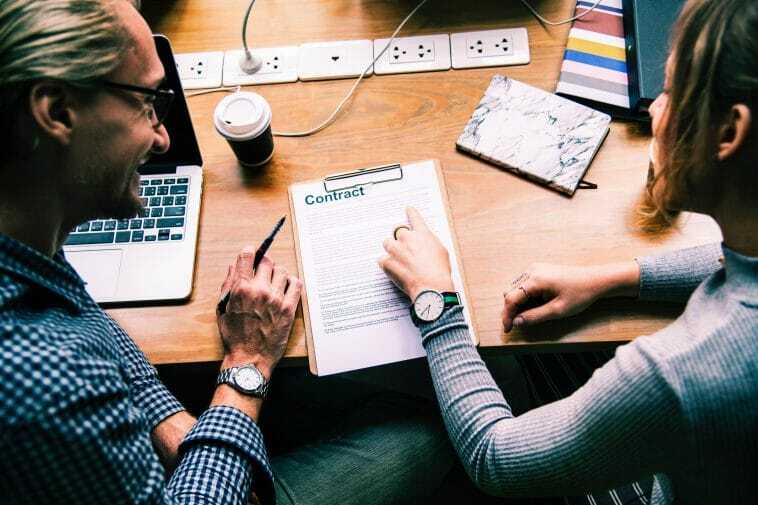 Labour contracts outline the scope of work, employer expectations, and employee benefits to establish a work agreement between a company and a potential or current worker. Most provisions of labour contracts protect employees, their benefits, and their rights; however, there are opportunities to ensure your company is protected in the event an employee underperforms and needs to be terminated or reassigned. For part-time workers, employers must also specify in writing whether employees will be eligible for pay increases, retirement allowances, and/or bonuses. Any part of a labor contract that does not meet the standards laid down by law is invalid, including clauses that state the company can dismiss employees at any time for any reason, base pay including overtime pay, and the burden of social insurance fees are to be borne by employees. Penalties for non-fulfillment of a working contract, such as requiring a payment for working less than the agreed time period, are also illegal. However, employers are able to recover any damages lost during the term of employment. General labor contracts do not specify a term; however, terms that are specified must last no longer than three years, except for special cases. Per employee request, fixed-term contracts, which last over five years, are eligible to be converted to a general Labor contract with no definite time period. Employers are allowed to employ brief probation periods to assess whether or not an employee is right for the job. If the employer decides the employee is not suitable for the job, the “refusal to employ” is treated the same as an employee dismissal. Thus, there must be reasonable, valid, previously unknown reasons for dismissal that came to light during the probationary period. Japanese employers often reassign employees within their organizations or send employees on external assignment. Some reassignments may require relocation. Employers have significant discretion in changing an employee’s duties sending employees on reassignment; however, employers must be compliant with the Employment Security Act for temporary external assignments. Employers that send employees to work under the supervision and instruction of another company are deemed to be engaged in “worker dispatching,” which requires a license and is prohibited with criminal penalties without one. Employees and companies can change working conditions including wages, working hours, etc. through an agreement. Companies cannot change the working conditions in a way that leaves employees at a disadvantage. However, if the change creates a reasonable disadvantage for the employee, then the change in work conditions or content of the employment agreement must be in accordance with the new rules of employment. When it comes to international contracts, the legally dominant country is determined by agreement between to the parties, and labour contracts are included. However, laws that protect workers, such as the Labour Standards Act, take precedence regardless of the agreement. If the labour contract does not specify governing law, then it is assumed that the governing law is that of the region where services are provided. If a worker agrees to the law of a region outside of the one where services are provided, the employee can obtain “specific forcible provisions” in the region where services are provided. During the hiring process, a company can request that a guarantee of good conduct or personal reference be provided by a relative or someone who knows the candidate well. Such a guarantee is legally valid and deemed to valid for three to five years. Corporate Directors and Executive Officers, etc. Contracts between companies and executives are considered to be “engagement agreements” as opposed to labour contracts. The relationships are subject to the Companies Act as opposed to labour law. If executives or directors do not have the right to represent a company and is employed in a way that matches the level of work required of a regular employee, then the executive may be considered a dual worker/director. Use of workers of other companies can be made in three ways: worker dispatching, contracting, and temporary transfer. Dispatched workers can perform any work except for port transport, construction and security, and some medical work. Dispatched workers are allowed to work in their reassigned locations for up to three years; the same is true for the period of time that dispatched workers are allowed to work in the same “organizational unit” as the client. The three-year limitation on the dispatch period does not apply to workers employed to the dispatching business operator that has not specified a work period. When one company outsources work to another company, the subcontractor is required to conduct its work including worker administration pertaining to all employees from either organization separate from the employing company. Thus, the employing company cannot “give orders to not conduct personnel administration” of workers. If the real situation is applicable to worker dispatching, then regulations related to worker dispatching will be applied according to Article 40-7 of the Worker Dispatching Law. Per the same article, employers can order an external reassignment of this nature under certain situations. As regulations ease and competition increases, companies reorganize. The length of labor contracts under reorganization is treated as a merger, business transfer, or company split. During mergers, rights and obligations are comprehensively succeeded. In both a consolidation merger (a new company formed from the merger) and absorption merger (and existing company takes over another one), the final company takes on all labor contracts. If an enterprise transfers some or all of its business to another, then a succession of rights and responsibilities is determined by the two parties. A succession of labor contracts is determined by the agreement between the two companies as well as the worker. However, the Labor contract is not succeeded to the assignee company if the assignee company or worker refuses the succession of the contract. The Labor contract of the employee who is primarily engaged in subsequent business if succeeded to the newfound or absorbed company. Drafting labor contracts is an important aspect of the talent sourcing process. Make sure your company is covered by including all pertinent information about working conditions, wage calculation, benefits, transfer and reassignments as well as employee status in the work agreement. Furthermore, include probation period clauses and request verifiable good standing referrals to protect your company from being forced to retain subpar talent. A skillfully written work agreement will keep your company compliant and protect your interests. What do labor contracts cover? Labor contracts include information covering work conditions, term of employment, probation period expectations, reassignment and dispatching requirements, legal rules, referrals for good employee conduct, transfer rules, wages and paid time off as well as employment status details. Labor contracts are legal agreements between employers and employees that outline the scope of work, legal rules, corporate structure status, etc. pertaining to a particular job or work arrangement. How do labor contracts protect employees? By law, employers are required to disclose any and all details about working conditions, wage calculations and payment, employee benefits, transfer requirements, and all other details pertaining to employment. Employees have the power to accept or reject the terms at the beginning of employment and must be informed on any potential contract changed by the employer. No contract changes can leave employees at a disadvantage. Overall, the labor contract holds employers accountable for their end of the work agreement and prevents abuse of power by companies. How do labor contracts protect employers? While most provisions of labor contracts empower and protect employees, employers have a few opportunities to ensure the work agreement works in their favor such as probation periods and direct power over reassignment and dispatch work. Taking advantage of these clauses as well as the guarantee of good standing ensure the employer is protected from hiring and keeping unproductive employees. How does a company’s organization structure impact labor contracts? As companies grow, they reorganize. During the reorganization process, all labor contracts are transferred to the final company and reviewed as if they are brand new contracts. At this time, length of work agreements can be renegotiated.